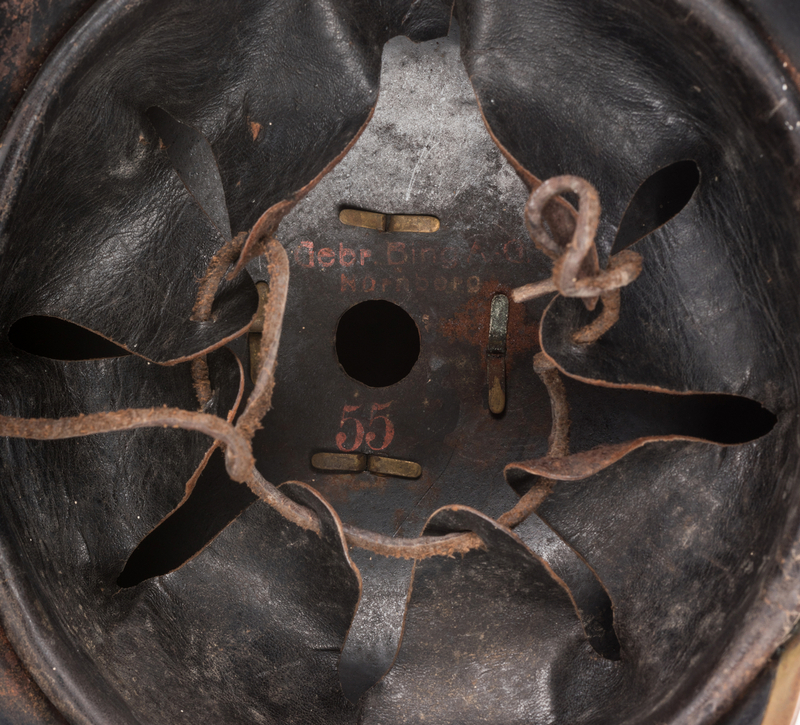 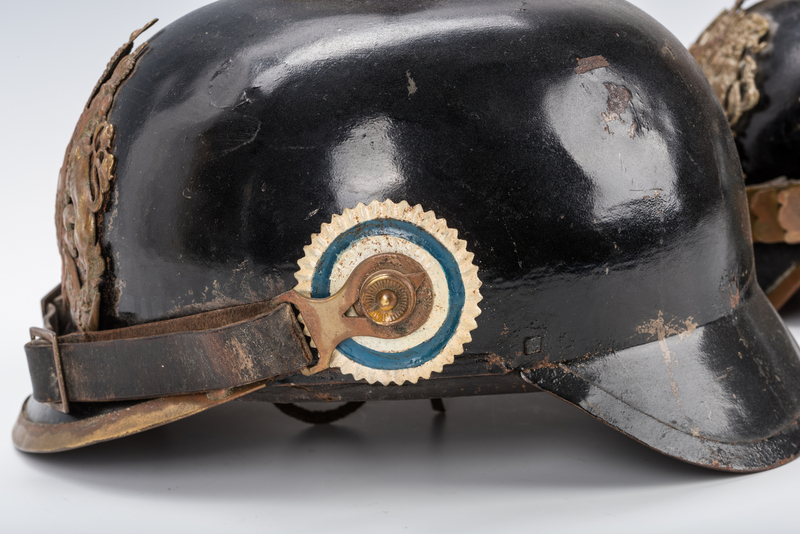 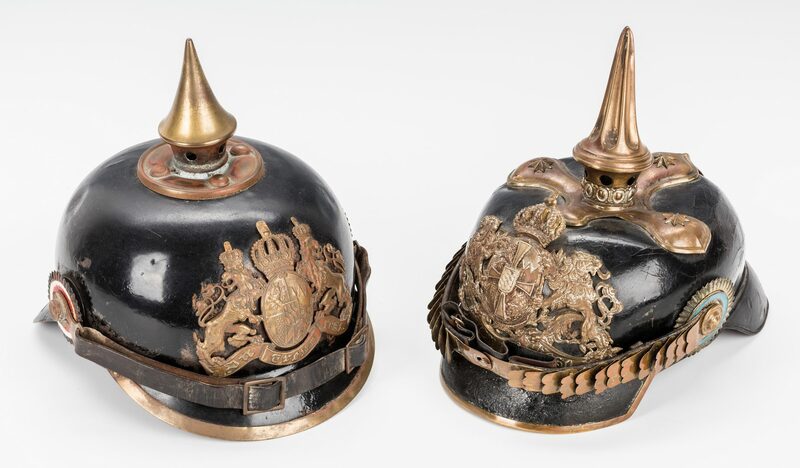 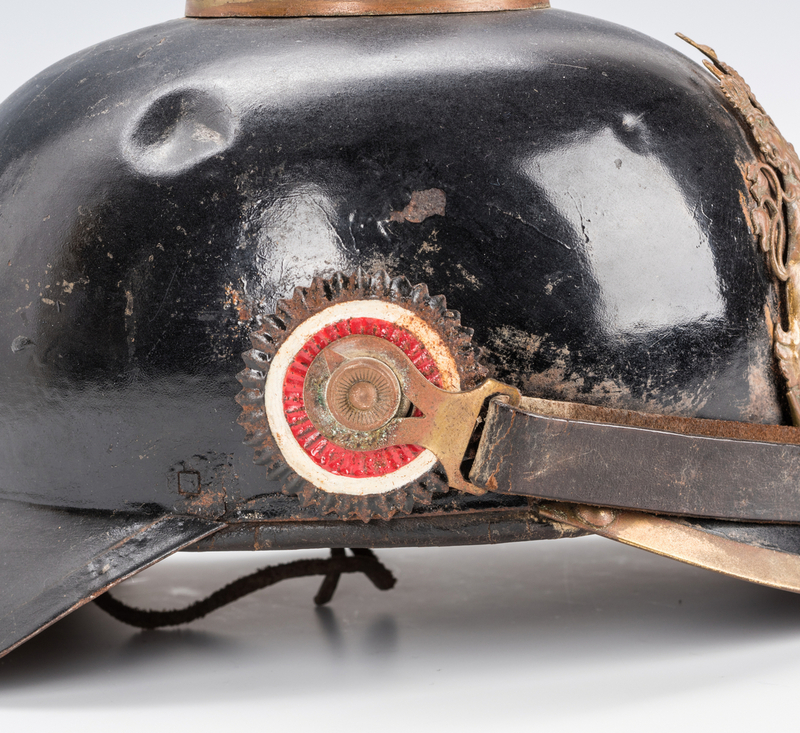 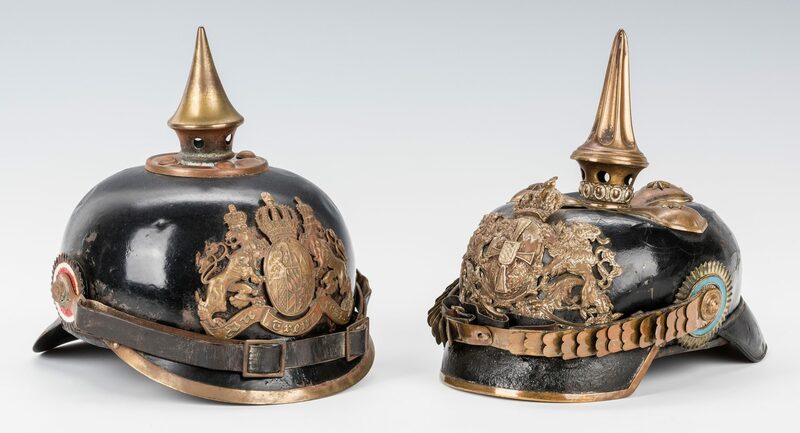 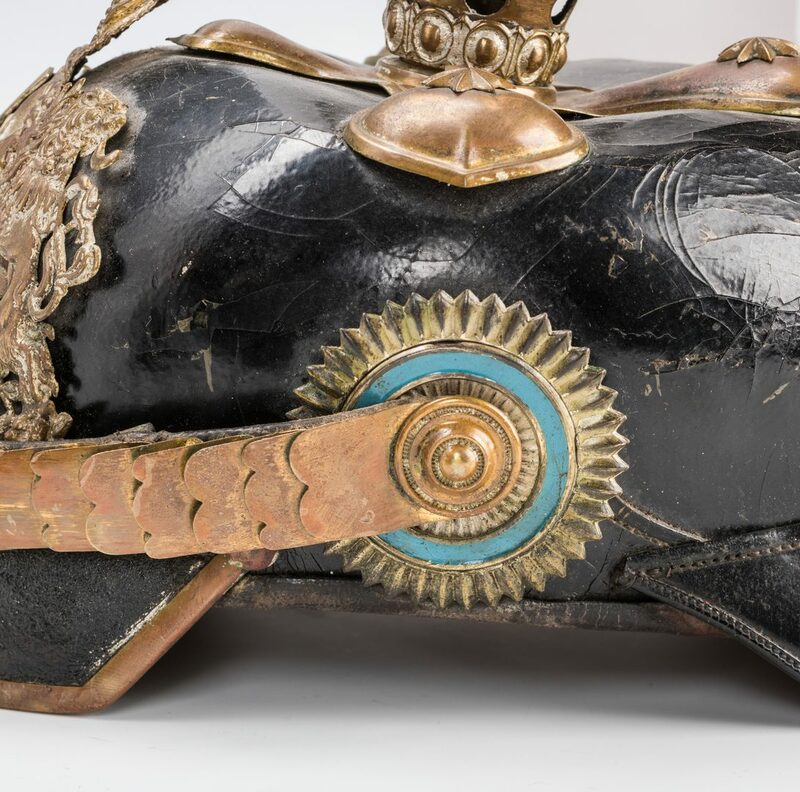 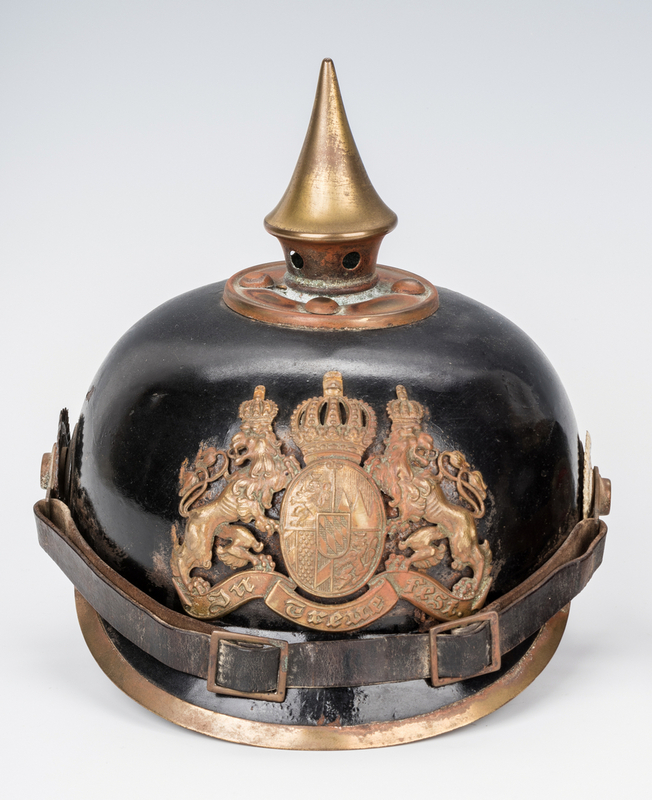 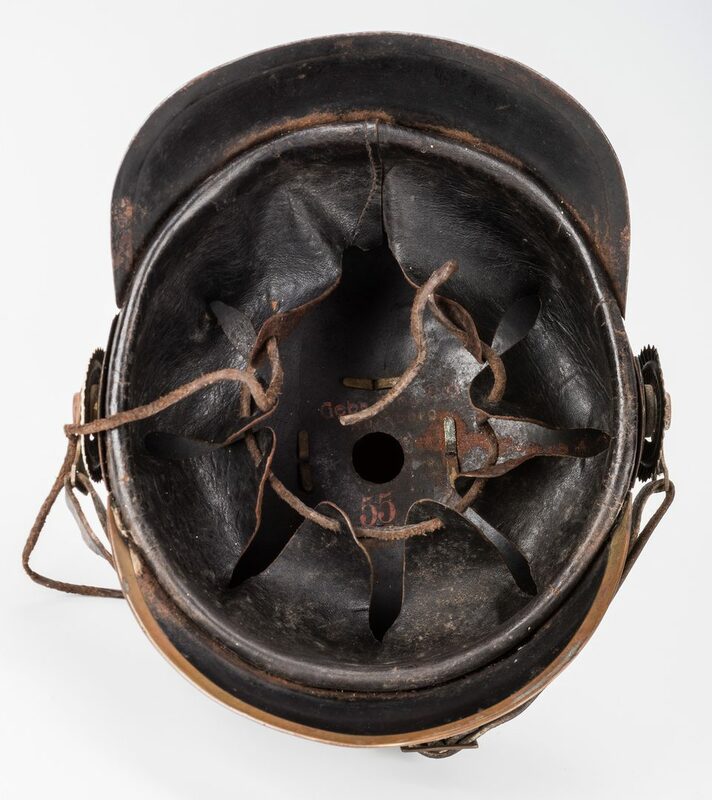 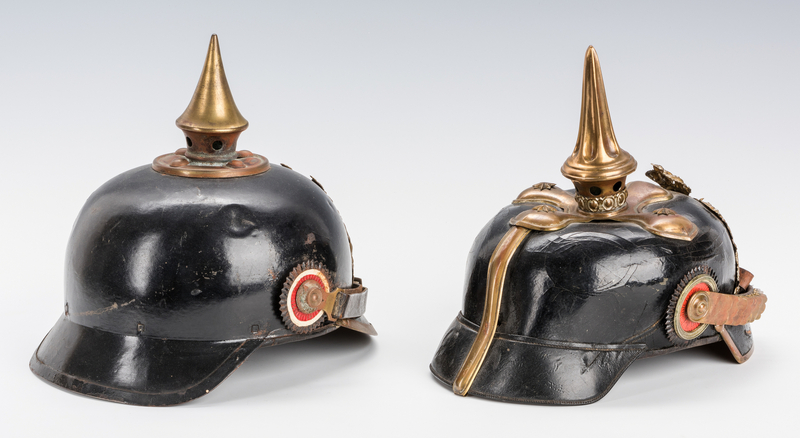 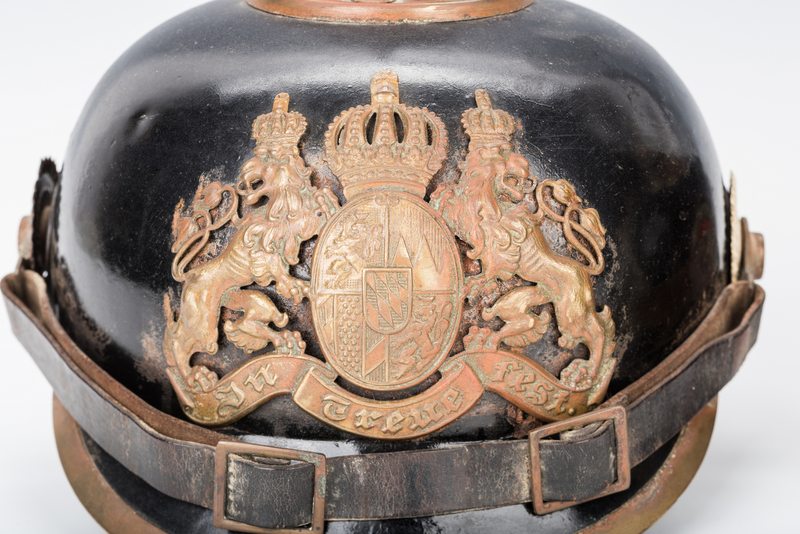 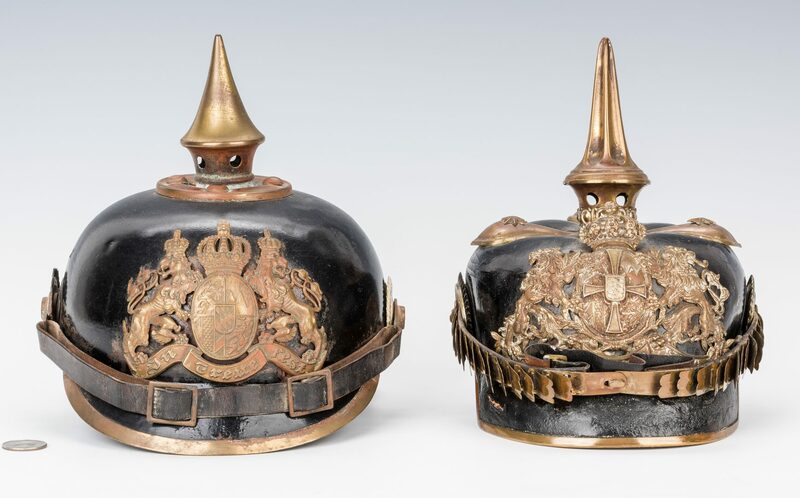 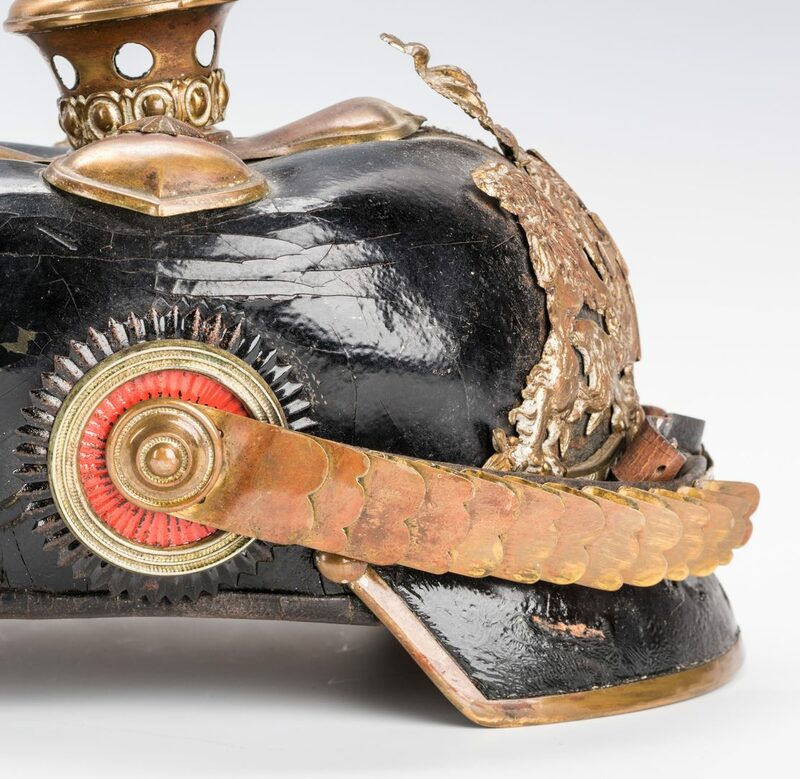 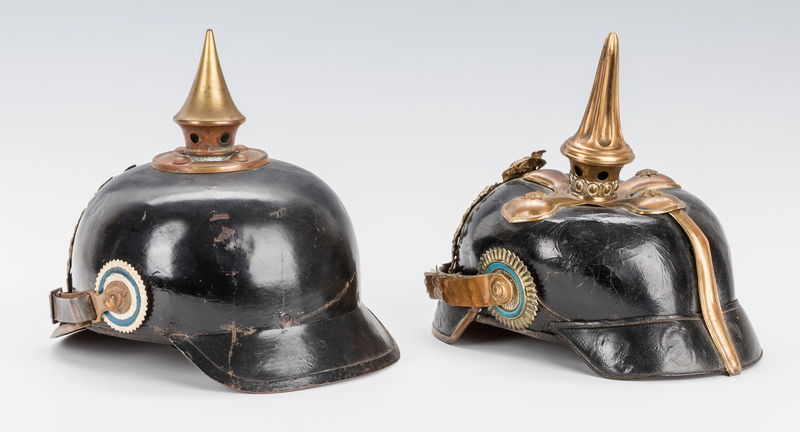 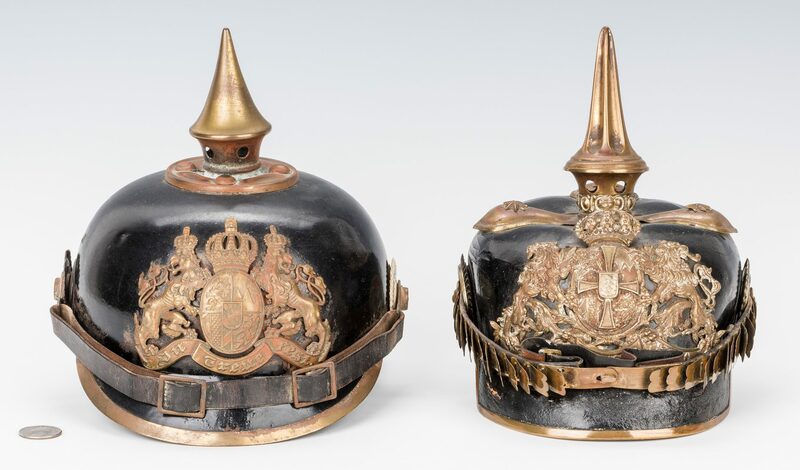 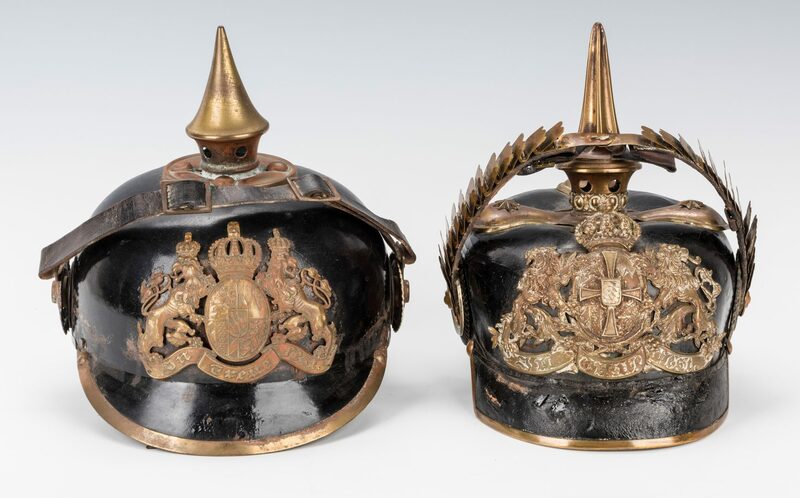 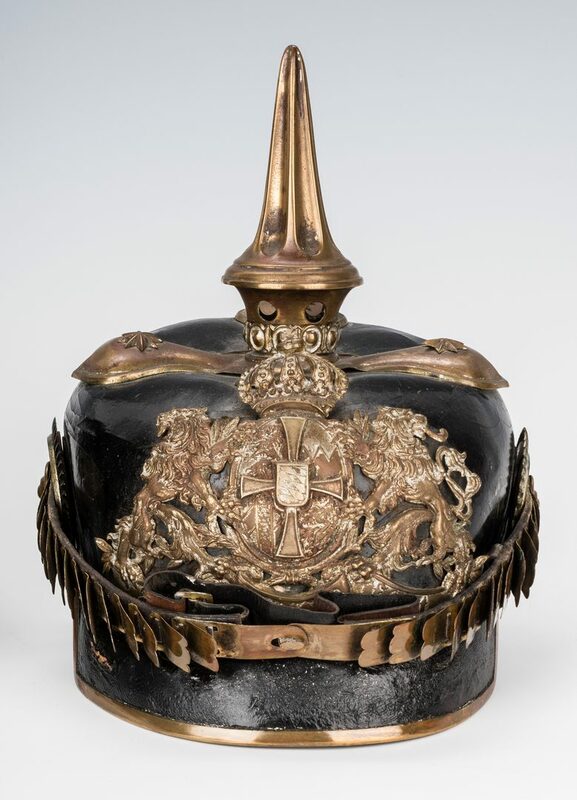 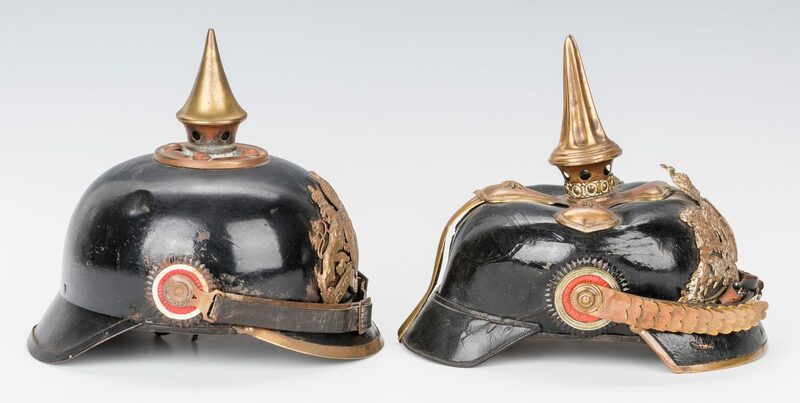 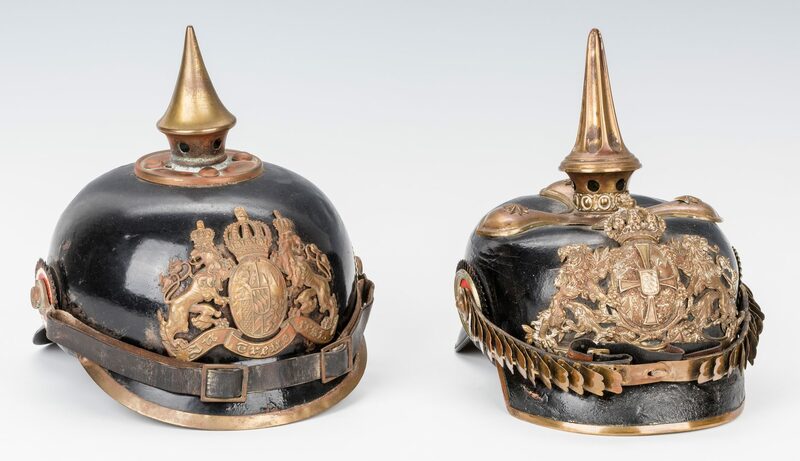 1st item: WWI Bavarian Infantry Pickelhaube helmet , interior stamped "Gebr Bing AG/Nurnberg 55". 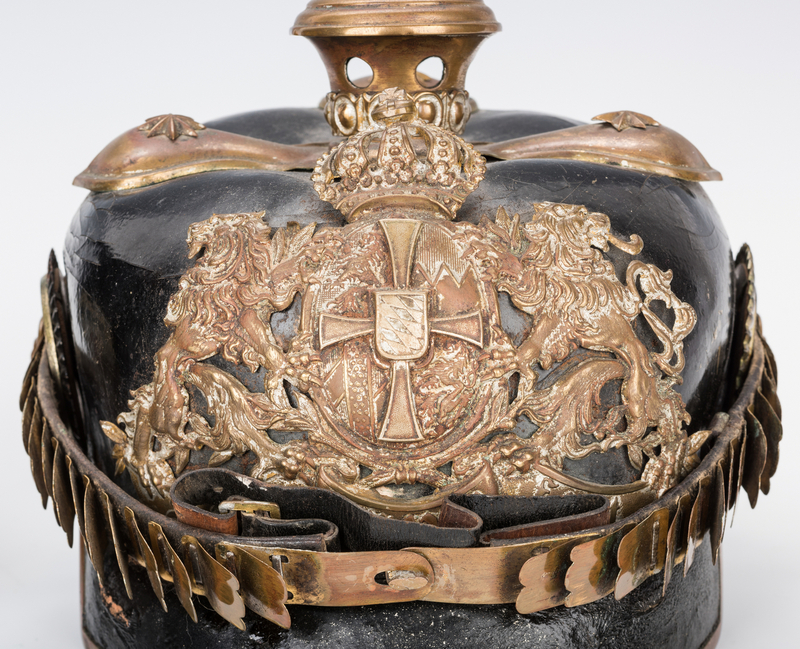 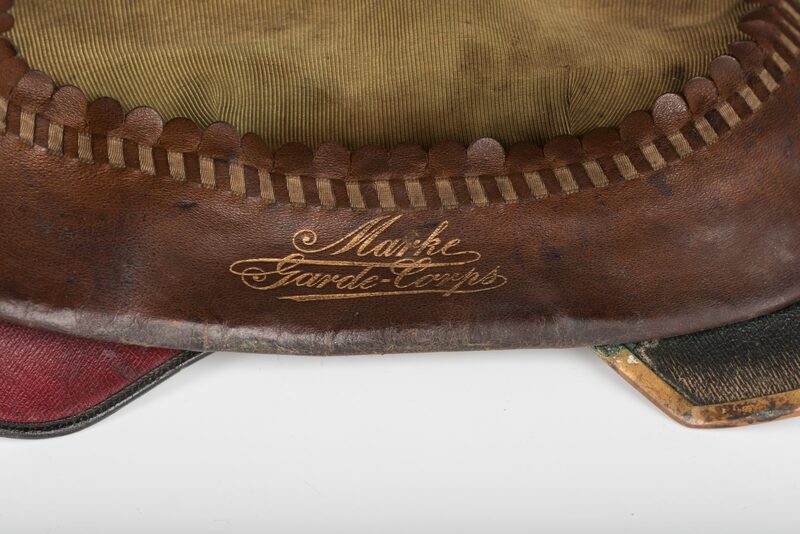 8 3/4" H x 9" W. 2nd item: Pre WWI Bayern German Infantry Officer pickelhaube helmet, interior marked "Marke Garde-Corps". 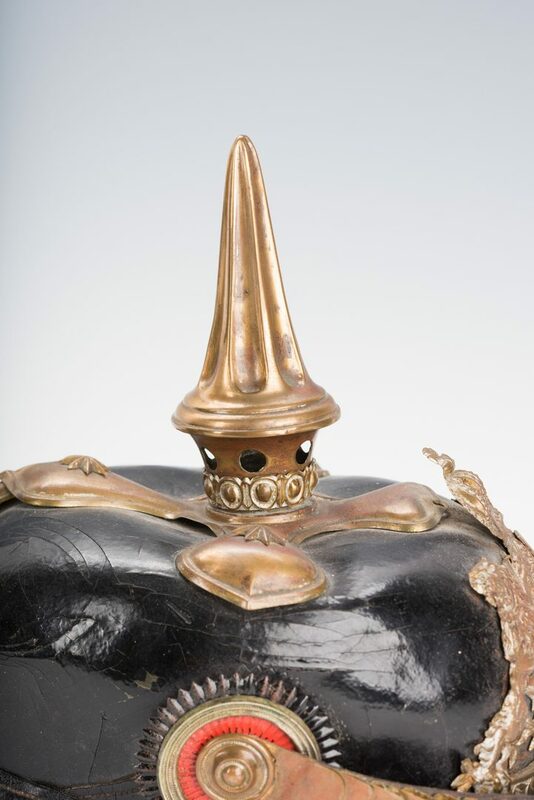 8" H x 10" L x 5 1/2 " W. CONDITION: 1st item: Some scattered denting to the top, scattered scratches. 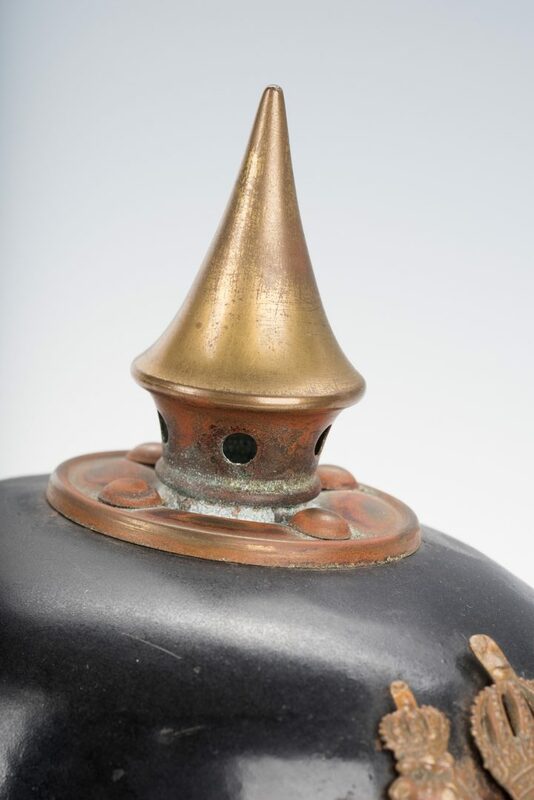 Normal oxidation and losses to metal mounts. 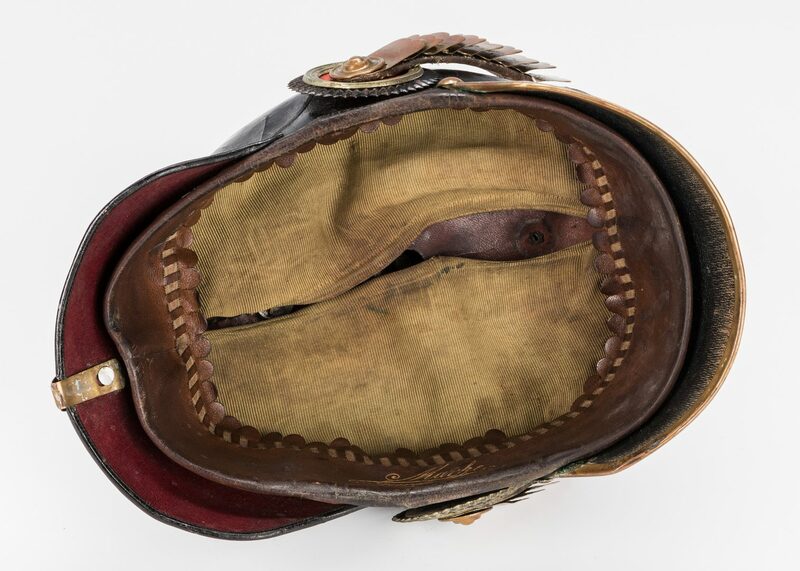 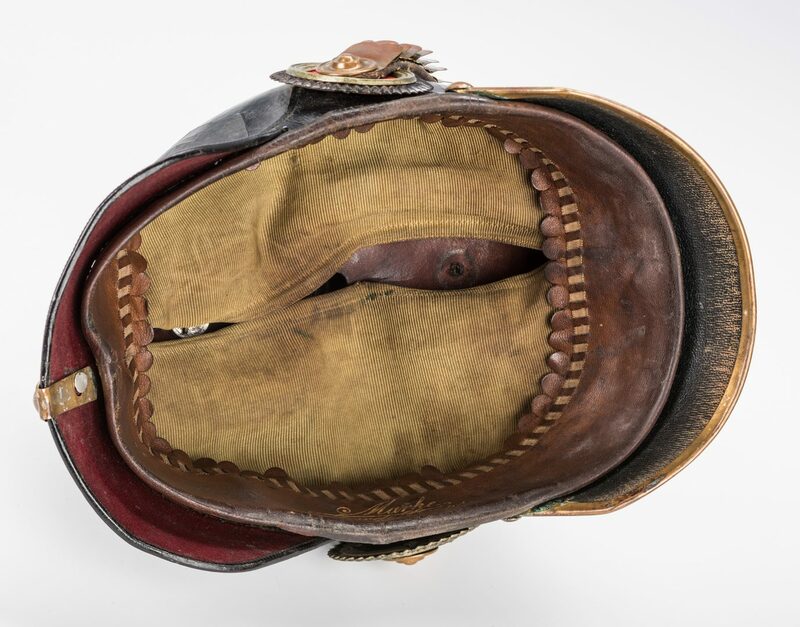 Retains the interior leather lining. 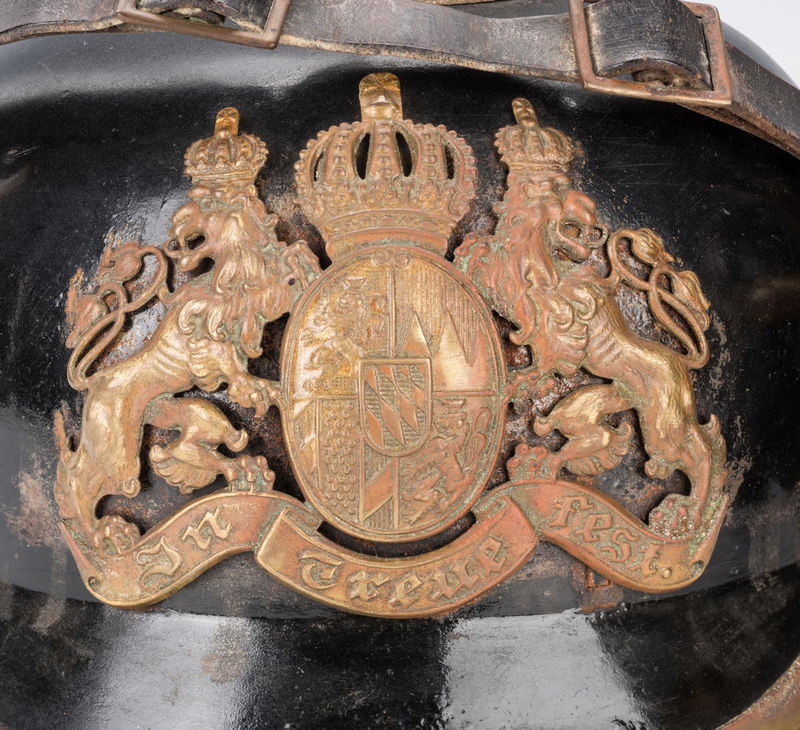 2nd item: Losses to left side of medallion and both crowns to lions' heads. 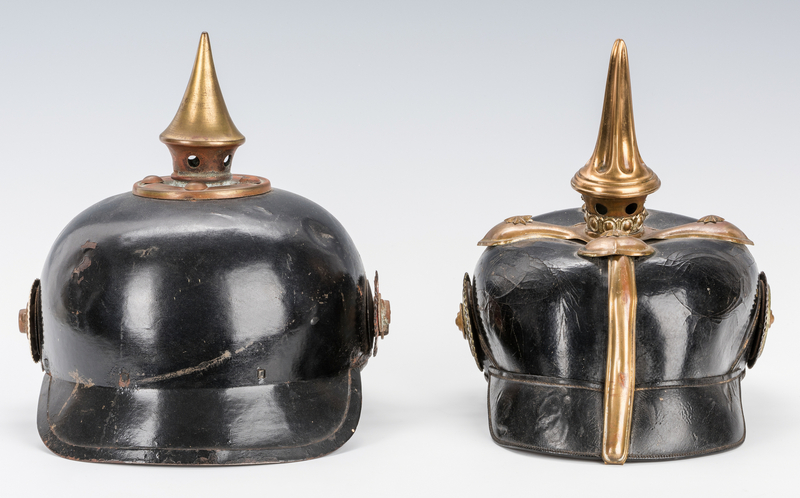 Normal oxidation to metal mounts. 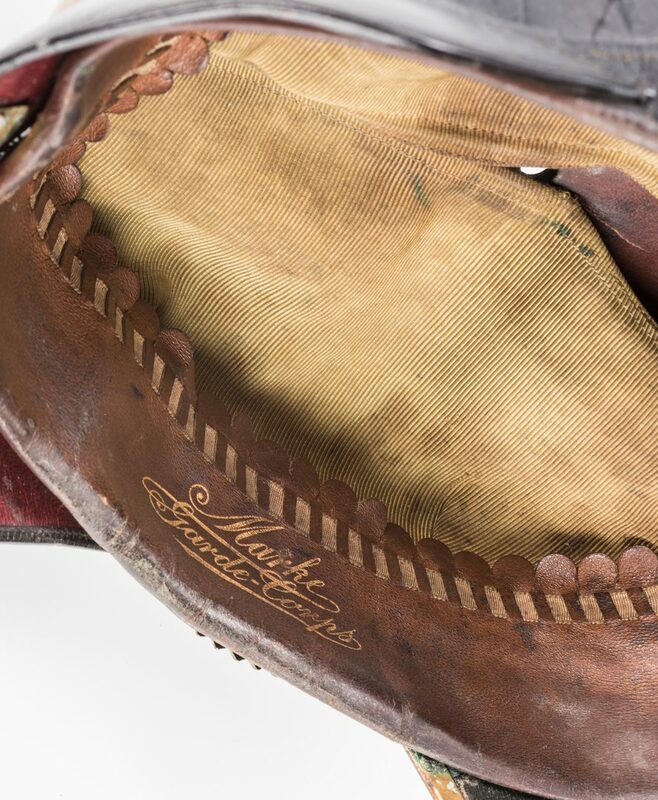 Scattered wear to leather. 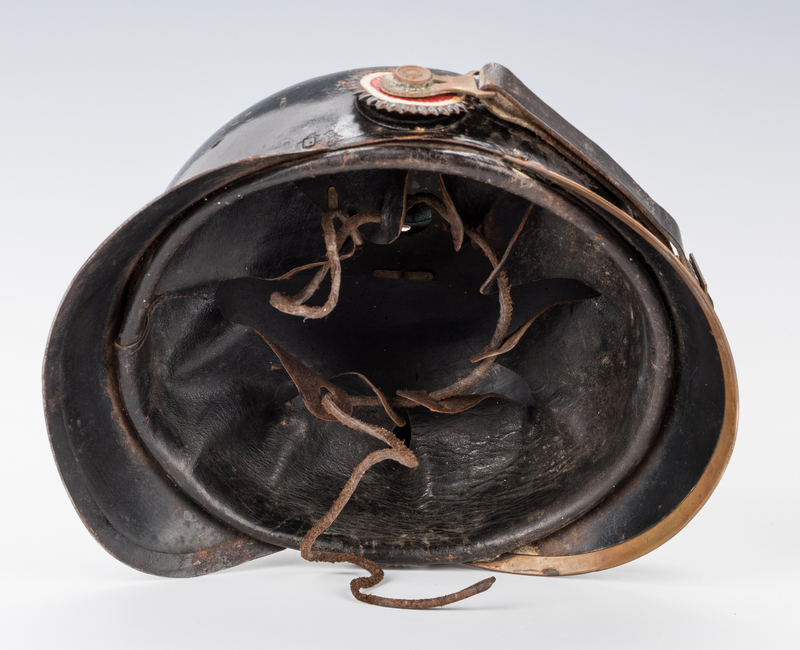 Retains the leather and fabric interior.